The Mission of Yogachelan is to promote the health benefits of yoga and to make yoga accessible to everyone. Yogachelan encourages and shares the practice of yoga as a practical way of life. We are passionate about our mission. Sharing yoga in an inclusive fashion with encouragement, understanding, comfort and fun. Helping our students understand that we are all built differently, we see things differently, we feel things differently, and that is wonderful. Encouraging our students to be accepting and grateful for our bodies and how they move in this moment. Yogachelan is more that just a yoga studio. From the beginning of our small business we have believed that it was important to be Involved, Support, and Give Back to the Community. Please click on the link to see us in the community. “The natural healing force within each one of us is the greatest force in getting well” – Hippocrates. Sue is a registered nurse who has been practicing for 23 years. She is amazed and humbled by how the human body can heal itself. 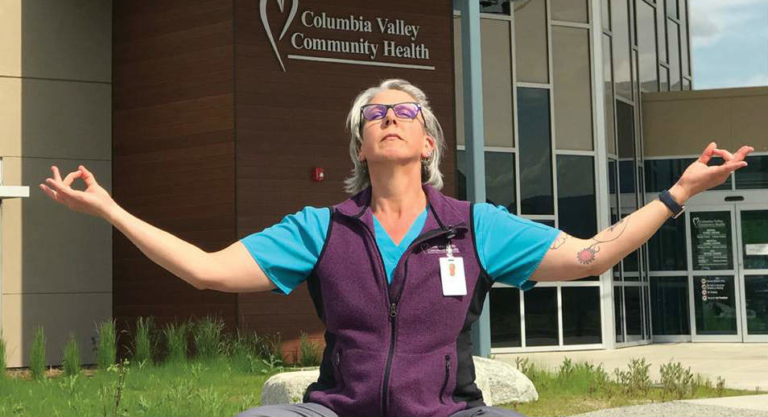 After 18 years of nursing, Sue took a break for 14 months to be home with her teenage children and become an exercise trainer. At the time, Sue was involved in Masters Synchronized and Speed swimming. She and her Synchro duet partner won 3rd place at the FINA World Masters event in Montreal in 2014. During the intense training for the FINA World Masters, and while being a personal trainer, she came to realize helping people help themselves is what truly gives her joy. Sue is certified as a TRX trainer, Functional Movement Systems (FMS) trainer and recently was certified by the T.Collin Campbell E-Cornell University in Whole Plant-Based nutrition. Sue has also completed a 25 hour Restorative Yoga certification with the goal of becoming a yoga instructor soon. Sue is currently working as an RN and works at a local health clinic. She looks forward to the joy that training others gives her, and she is eager to step back into the role of trainer to help be the catalyst to others on their journey. Sarah recently moved to Chelan from San Jose, California, after teaching high school English there for 17 years. She started her health and wellness journey in 2012. After years of being obese, she started working out at her local gym. She began running, and found her way into ultramarathoning. However, she struggled with several injuries, most notably a major back injury as a result of a horseback riding fall years prior. After many months of rehabilitation, she was determined to run again. TRX and yoga were an integral part of her recovery, and helped to strengthen her muscle imbalances and her core. After six months or diligently doing TRX and yoga, Sarah was back running high mileage injury free. Two years after her back injury, she ran three 50ks and her first 50 miler. Sarah first started working in the fitness industry as a spin instructor when she was unable to run. She loves to motivate others to achieve their fitness goals, and integrating her passion of teaching with fitness. She is currently a stay at home mom with her 11 month old son, and you can find her exploring the local trails in her spare time. 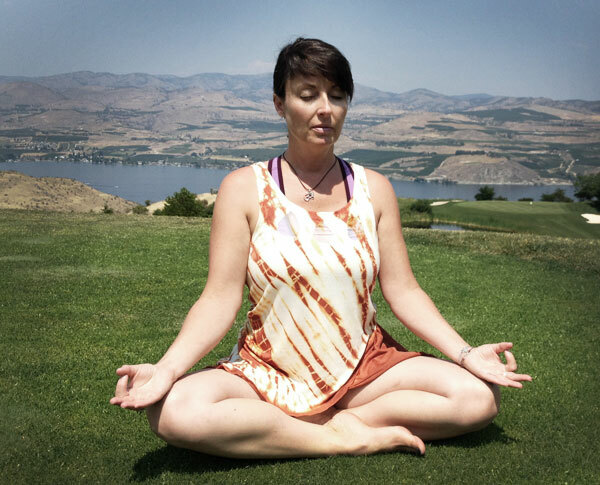 Christina, an E-RYT, has been teaching at Yogachelan for since 2014. She has been teaching with us for over 4 years now and teaches a class of her own creation called ‘Stretch, Tone, Align, Om’, focused on Hatha and Vinyasa with stretching and alignment. She enjoys continuing education and has spent close to 60 hours in Yin training. But also enjoys restoratives and yoga philosophy. When not in class, you can find her in the local wine industry. Or join her in the summer season here on Fridays for Stretch and Sip at Tunnel Hill. Christina is also an accomplished home cook and loves to entertain friends.